Whether you are planning to create a new website altogether or you’ve recently launched one, or you already have one; all you want it to be a successful venture. For this, promotion is an essential element. All you need is time and a good promotion strategy to invest in your enterprise. For such activities, you might require some amount of money as well. Now, this sounds like a hurdle in your advertisement process. So, to ease you with the same, here I am listing down some free places where you can promote your business and boost your readers’ engagement. 1. Search Engines: Most of the traffic from the internet is directed from search engines. So on that note, search engines must be the first place where you should plan to project and advertise your content and links. Make sure that the favorite search engine recognizes your site by submitting the link of the same directly to them. And the best way to rationalize your search engine presence is to improve your SEO. 2. Online Directories: Many online directories cover a wide range of audience. Here, you have to submit your website’s URL and other additional information that you want your visitors to know about your business. These sites will record your mentioned data in their storage banks and will make sure that your link is present at the place where people are searching you; in the relevant categories. Also, you should add infographics and other graphical media to your content and links to improve your site’s Search Engine Optimization which will ultimately affect your website’s ranking on search results in a positive manner. 3. Social Media Platforms: Social media platforms have a lot of business promotional tools to offer the website owners. Most web surfers spend their maximum time on social media platforms to surf for something that matches their interests. Linking your website on this social networking will help you make your business known to the broader audience and henceforth, make them recognize your brand value. 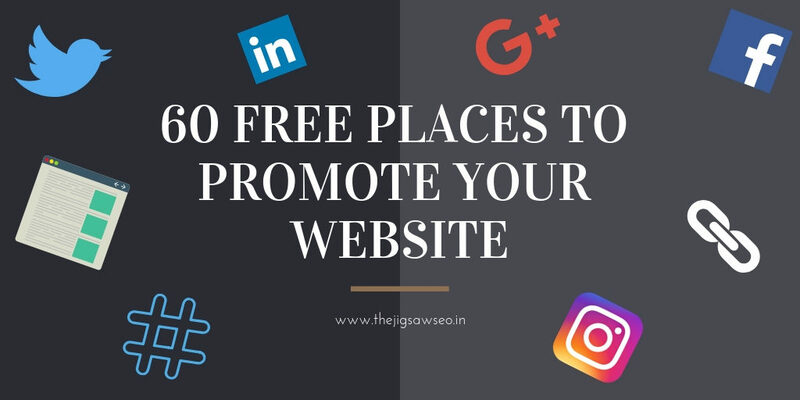 All you need to do is to explore these social media networking sites and their style of working to get your promotion right. 4. Blogging Platforms: Blogging platforms and content supporting sites is a well developed and an eligible way to promote your site. All you have to do is to write a plagiarism free article that is related to the drill of your business and then submit it to these sites. Try to write an informative and knowledgeable article in a normal and friendly tone, as if you are conversing with your readers. Articles that have authenticity and a well-pitched marketing strategy explained in a brief yet well-described manner, will likely to attract more viewers to your site. Blog writing is also a great way for promoting the link building for SEO benefits. 5. Photo Sharing Sites: Just like social media networking sites, photo sharing sites give you the option to project your visual content that is related to your business, and which can be further used to refer and link back to your website. These sites are not only advantageous to the photographers, in fact, but it can also be used by any organizations to post images related to their business and website. It can be the photos of upcoming events, the team involved in your particular business working, current news, working on your website, new products, what’s next and the list goes on. It’s not necessary to enlist yourself in all the above sites, but it’s a good option to pick up a few that are the best suitable for your business. It will undeniably boost your reach and will help you to improve your SEO.